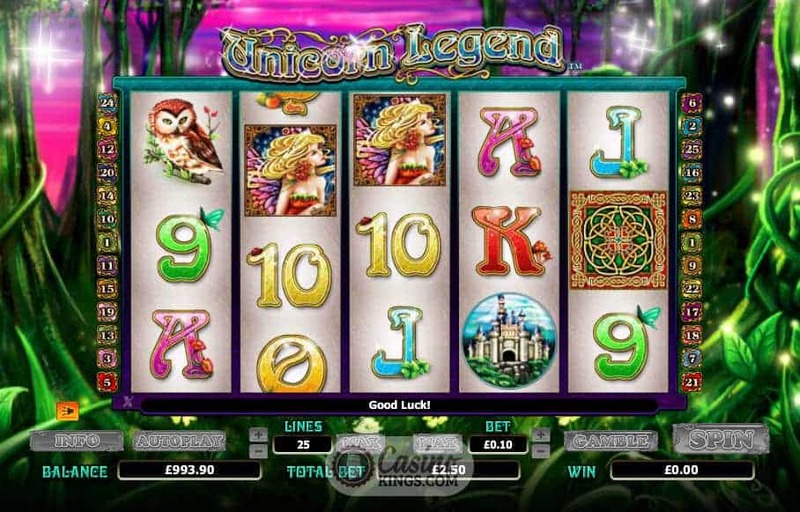 From within a rainbow in a magical land a unicorn was born, sent to weave his colourful path across the five reels of an online slot to trip our light fantastic in the way of 25 paylines. 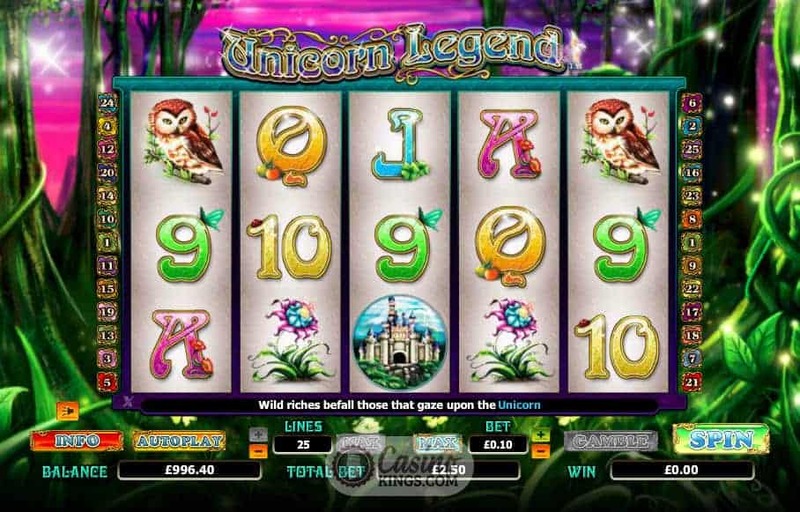 Through PartyGaming’s magical port we can travel to this land, and try and catch a glimpse of this Unicorn Legend Slot and the riches he bestows. 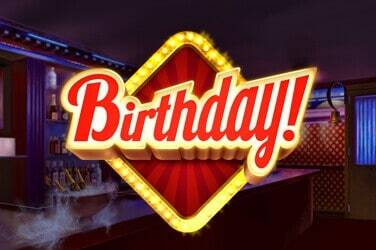 Think Unicorn, think fantasy. PartyGaming have gone all out to create a mystical place, a forest enchanted with twinkling fairies and hazy purple skies. This Unicorn wouldn’t be so much of a legend trotting through the streets of Düsseldorf. Or maybe it would. 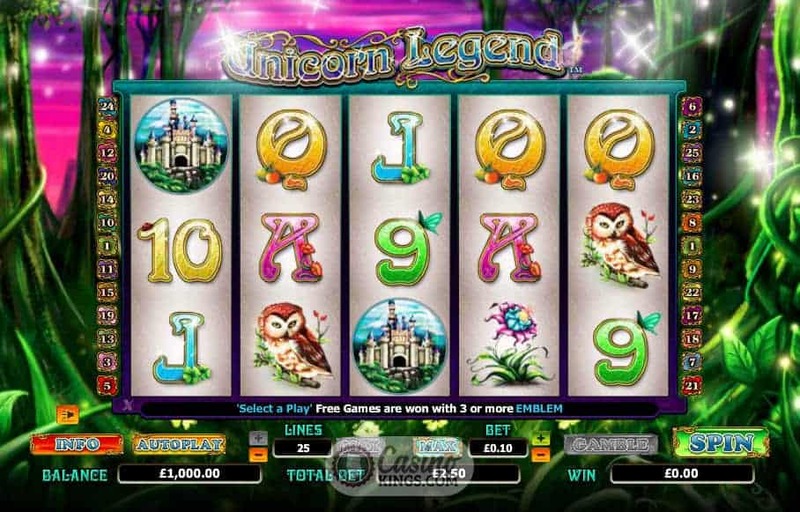 Either way, the reels are decorated as beautifully as the reel case, with our Unicorn hero rightly taking the place as the game’s Wild symbol, whinnying magnificently when he appears on reels 2, 3 and 4 and substitutes to complete any winning payline of the game’s 25 on offer. The magnificently ornate Celtic Circle is our Scatter symbol, paying out 2x when landing two or 4x when landing three, plus reaching towards the upper echelons when landing any more than that. 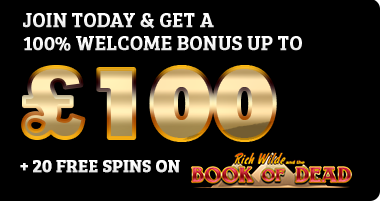 However, three or more will also trigger the game’s bonus feature, a Free Spins offering that will have us choose a gift-bestowing toadstool and leading the spins into a sun-soaked glittering meadow. 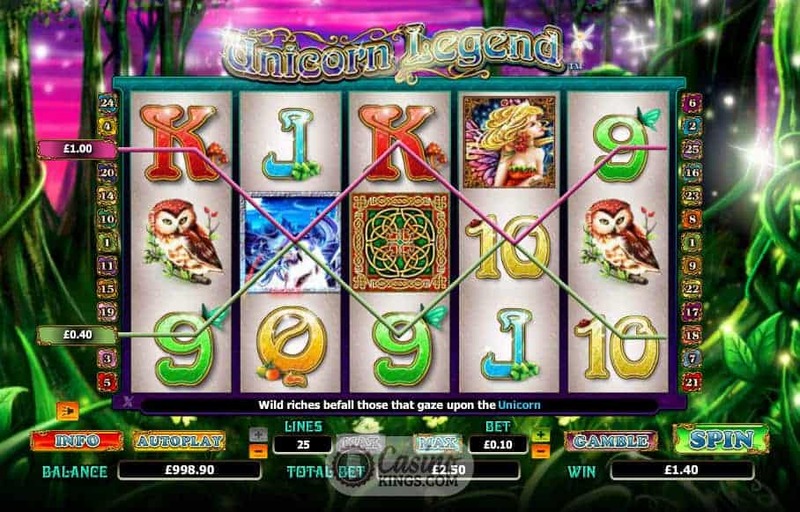 We can select either 20 free spins with the Unicorn Wild worth x2, x3 or x4, 15 free spins accompanied by the Unicorn worth x4, x5 or x6 or 20 free spins with an all-singing Unicorn Wild offering a x6, x8 or x12 multiplier. 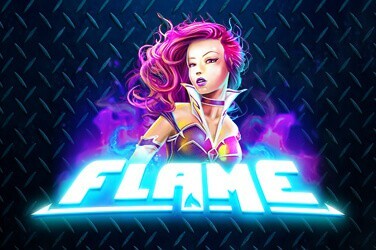 During any Wild win, the relevant Unicorn Wild will flash at the top of the screen, bringing it’s own added magic to our bonus wins. 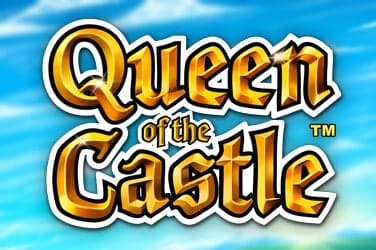 With the game’s Gamble Feature we can choose to bet our wins on the flip of a card to seek out a double or quadruple boost, dependant on the colour or suit of an upturned card. 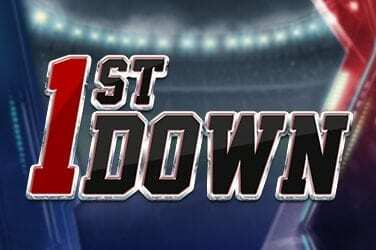 With twinkling fairy dust settling on the reels this game has the makings of a fantasy classic. When this Unicorn Legend flashes its eyes at us we know it means business, and we have the chance to write ourselves as legends into our own book of fantasy.